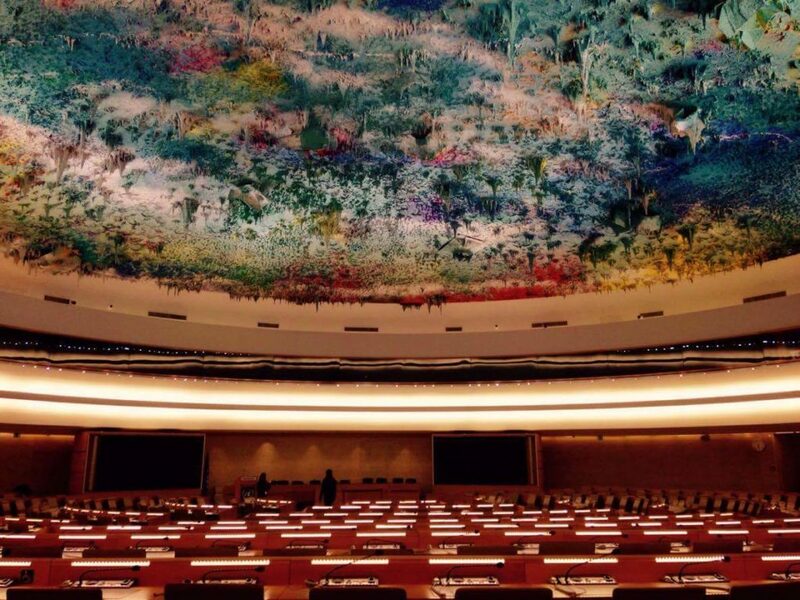 Our former delegate Larissa got the chance to work at the Office of the High Commissioner for Human Rights (OHCHR) in Geneva for their internship. She send us some pictures and thoughts about their first weeks in Switzerland. My Internship at the Office of the High Commissioner for Human Rights (OHCHR) started in the Equality, Non-Discrimination and Participation Unit in the Special Procedures Branch (SPB) and will end in the Middle East and North Africa Branch (MENA) in the Field Operations and Technical Cooperation Division (FOTCD). 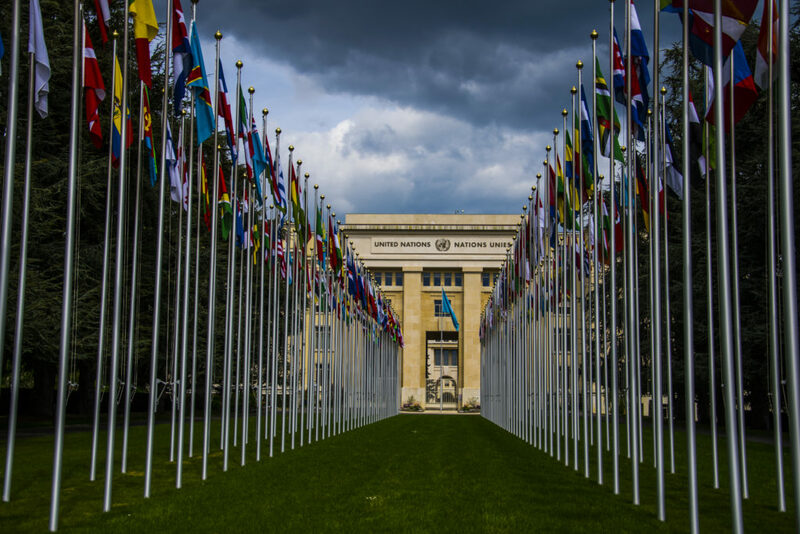 Where to start explaining the incredible chance to work at OHCHR in Geneva? Probably with my constant feeling of being absolutely happy and excited to work for the promotion of human rights for everyone. It is the ultimate chance to gain insight behind the scenes of world diplomacy and policy. Moreover, I get to know the most fascinating, brave and inspiring work that is done at OHCHR by people who are willing to fight for the full realization of all rights and freedoms written in the Universal Declaration of Human Rights. The tasks at SPB include Communications as a direct interaction with Governments on allegations of abuses of human rights as well as Country Assessments (CA) as the basis for the dialogue engaged with the States during a country visit, and a way to value the human rights framework of each state in respect to each relevant mandate. Furthermore, I am allowed to attend meetings with experts as well. For instance, three weeks ago I got the opportunity of attending an event of the Joint General Comment on the Human Rights of Children in the Context of International Migration. During this public consultation I represented the mandates on trafficking and sale of children. To act in cooperation with states and other stakeholders, we discussed the enormous human rights violations children are facing through their double vulnerability as children and migrants. While working for gender equality, children‘s rights, freedom of assembly and association, non-discrimination against women in law and practice, the right to development and ways to combat trafficking, I am always encouraged to appreciate the option to raise my voice against human rights violations against anyone in every region. To discover more countries, more cultures, more beliefs, more histories, more traditions and to cherish the diversity amongst them, is my daily work here at OHCHR.